Rodan sent in this great article from last weekends’ The New York Times Magazine. It is worth reading. The article asks a range of exercise and sport physiologists to choose THE single best exercise. Interestingly and really, not surprisingly the physiologists have very different views. The short version is that all exercise has merit. However, a strong argument is made for the overall effectiveness of interval training. Short-Duration, High-Intensity Interval Training (HIT) is great for the time challenged. The article goes on to say, that yes, “to be effective, HIT must hurt”. I don’t want this to scare anyone off. Everyone has a starting point. Marching on the spot might ‘hurt’ for the absolute sedentary; ‘hurt’ is subjective. What do they mean by hurt anyway? What I think they mean by ‘hurt’ is discomfort. It means working hard and passing through the comfort zone to the point where you want to stop, but forcing yourself to finish the repetitions until the interval is over. This is NOT to be confused with pushing through pain and losing technique just to score high repetitions. There is a distinct difference between the discomfort caused by muscle fatigue and the pain caused from injury. When we are consistent with exercise, our body naturally adapts and our ability to take on more increases. It seems that what hurts the most is digging up the discipline to be consistent with exercising everyday. Once you make the decision to try something different, I have got a little experiment for you: the stairs. We all have to climb them and, like at the end of the article, one physiologist sings the praises of “running up steps”. Find a staircase with approximately twelve steps. But any number will do. 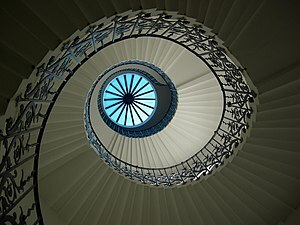 Make sure the staircase is straight and sturdy (no spirals), has a handrail and is not too steep. Remember to go at a safe and comfortable pace. You may only climb the stairs once today, twice tomorrow and so on. Listen to your body. First, think about your body mechanics as you are climbing the steps. Remember your feet and the arches. Now go up the steps at a slow to moderate pace. Trot back down. Now go up the steps a little faster. Trot back down. Do this four more times. Regardless of speed, the heart rate and body temperature will rise and breathing will quicken. When finished, walk around until the heart rate and breathing slows down to normal. Try it once a day for a week. Leave me a comment. I love hearing about your progress. I love this idea! It shows that getting fit can happen regardless of what level you’re presently at,and what equipment you may have or not. No excuses, it’s that easy. And practical, thanks to you. Good luck with this website. I tune in every day!